Công ty TNHH TMĐT Chu Vũ chuyên cung cấp Loa Creative Chính hãng giá tốt. Quý khách có nhu cầu vui lòng liên hệ: 0939 24 0939 để được tư vấn sản phẩm và giá tốt nhất tại thời điểm mua hàng. The Sound BlasterX Kratos S3 is packed with a pair of powerful 2.75” satellites and a port-tube design 5.25” down-firing subwoofer that are designed for gamers who need an entry-level gaming speaker system without compromising sound quality. This speaker system fulfills your audio needs from chilling out to your favorite movies and songs, to high-intensity all-out gaming warfare. Built entirely out of wood for better resonance damping, the Kratos S3 enclosures deliver fuller, warmer, more natural sound than plastic-based designs. The full-range satellites are optimized and designed with larger volume capacity to produce clear highs and detailed mid-range audio. The custom-tuned, down-firing subwoofer with port-tube design pumps out deep dynamic bass for massive gaming, superb movie and rich bass-centric music playback without distortion. Specially designed for the intense gamers, rev up your audio experience with 92 watts of pure power to give your entertainment or gameplay an extra “oomph”. Alternatively, you can connect to other media players via analog cable. 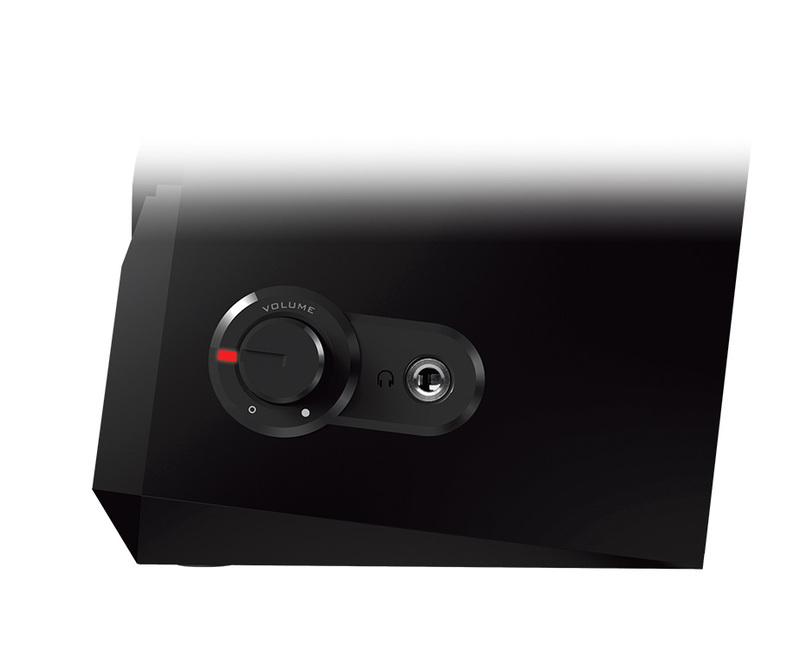 Adjust the volume control knob to bring out the best in your music, movies and games. Going for a scrim or perhaps some late night mayhem? Plug in any analog headset into the right satellite for a hassle-free change from speakers to something discreet. Although the speakers sounds great on their own, we have tapped into our rich history of creating class-leading audio algorithms to take the sound of the Kratos S3 beyond the realm of its physical limitations through audio enhancements optimized for your gameplay. 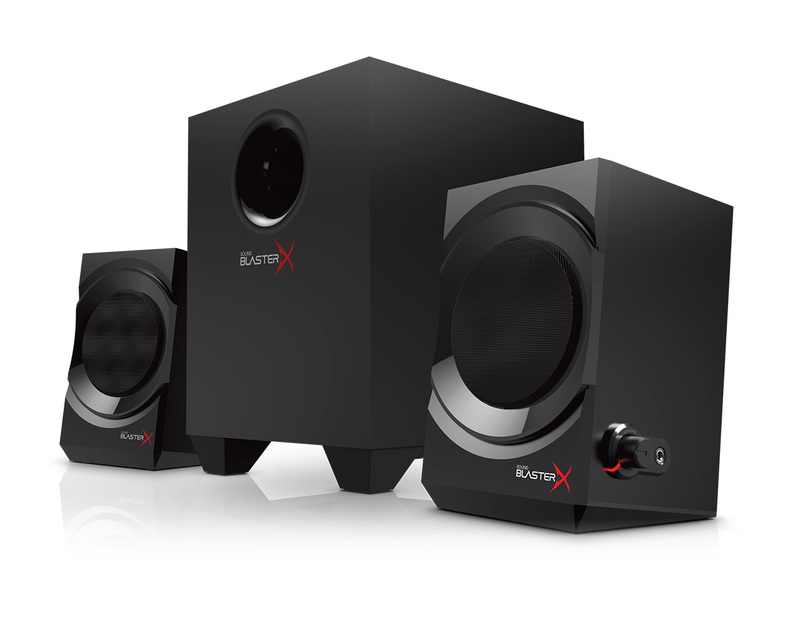 The small footprint of the speakers is deceptive; while the subwoofer and speakers can easily be placed on a corner of a desk, the loudness of these speakers is considerable. 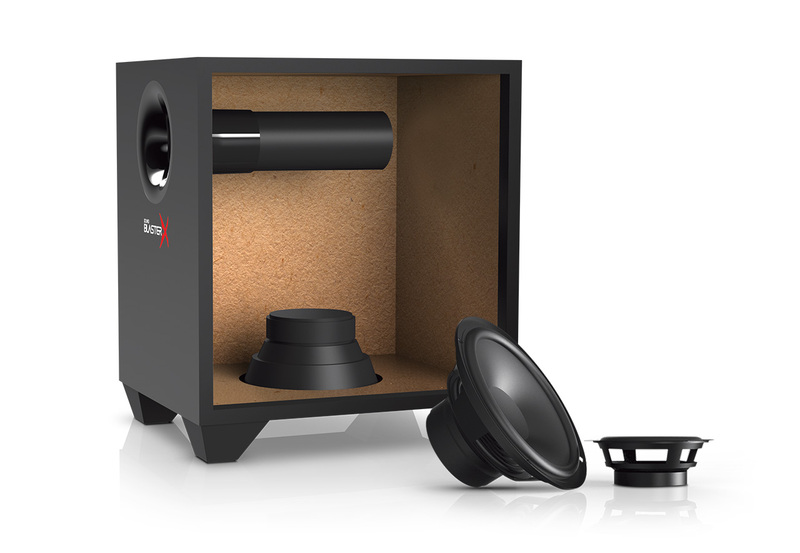 The subwoofer can create some room-shaking noise if ratcheted up properly; the satellite speakers’ design ensures that they do not compete (rather, they compliment) the subwoofer. 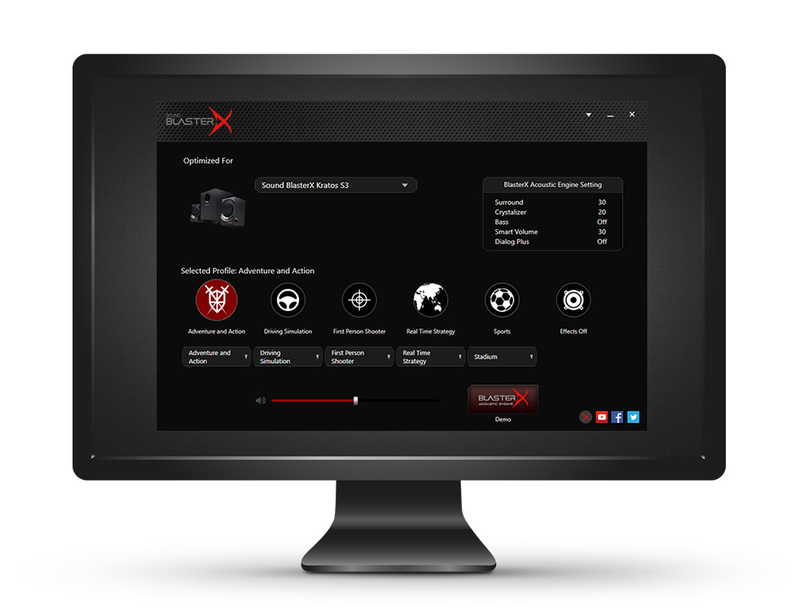 The Sound BlasterX Kratos S3 2.1 speaker system is easy to set up, easy to use, and puts out big sound. If you need PC speakers, these speakers deserve your attention.